These days many people seem to be interested in Spiral Herb Garden. 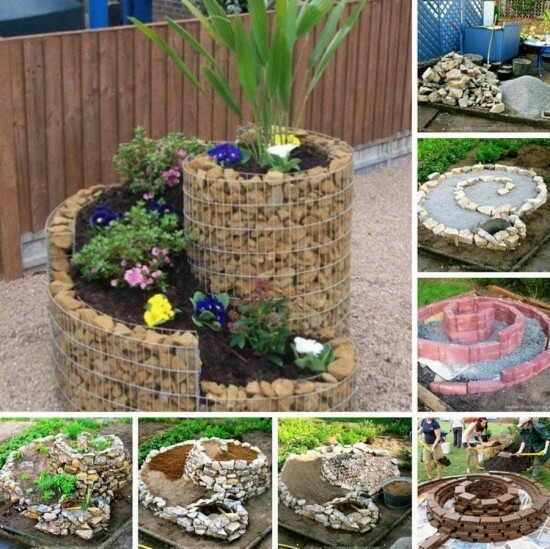 These are many reasons why people like Spiral Herb Garden. First of all,it is a very compact space saving design. It’s a great choice if your yard has small space. Secondly, Herbs make meals more flavorful, used for creating sauces and marinades, infusing oils, or simply sprinkling them freshly julienned over virtually anything. 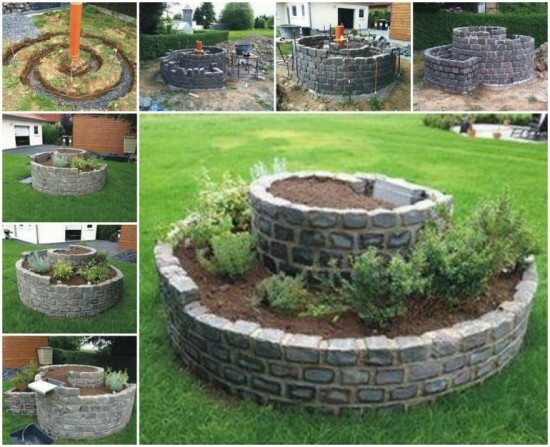 Thirdly,Unlike a flat garden, an herb spiral is in three dimensions. You can grow different plants at different layer based on amount of sunshine and water each layer can get. Furthermore, if it is done properly, they need little maintenance and can keep you in herbs all year round. Construction materials and methods vary so after deciding on the best position and gathering your materials, you can have one built the same day. 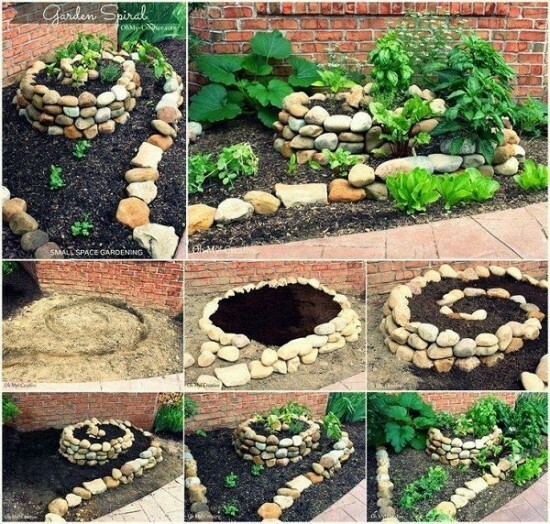 With all those benefits, do you want to make your own spiral herb garden? Here are three wonderful designs that I hope can inspire you.